The OSH Group Show is a snapshot of the city-wide event featuring one artwork from each artist on the self-guided tour and identifying the artist's location. 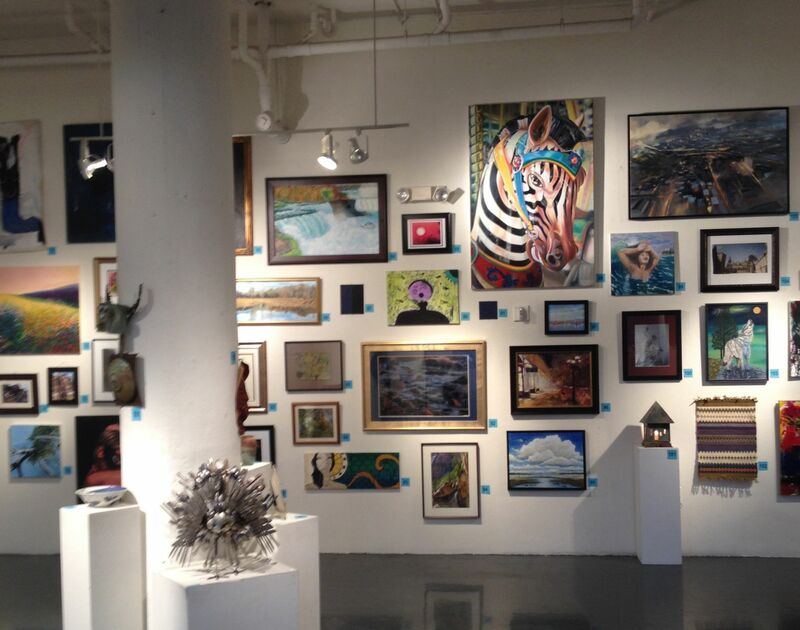 Located in the impressive 4,500 square foot ArtSpaceHartford Gallery at 555 Asylum Street, the show is hung "salon style" from floor to ceiling in order to accommodate all of the artists! Visit again for additional hours or email info@openstudiohartford.com for an appointment. 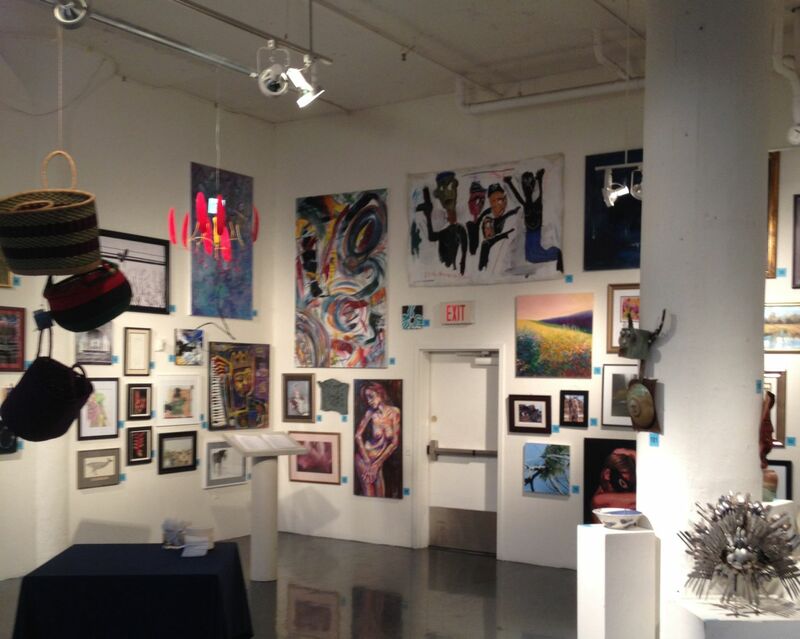 DON'T MISS THE "AFTER PARTY ART RECEPTION"
The ArtSpace Hartford gallery opens throughout the month of November. This year, rather than hold a Kick-Off on First Thursday, we will have an "After Party" on Saturday, November 18th directly following "Ekphrasis: Poetry, Music & Dance Inspired by Visual Art." Hundreds of guests enjoy this popular party annually! 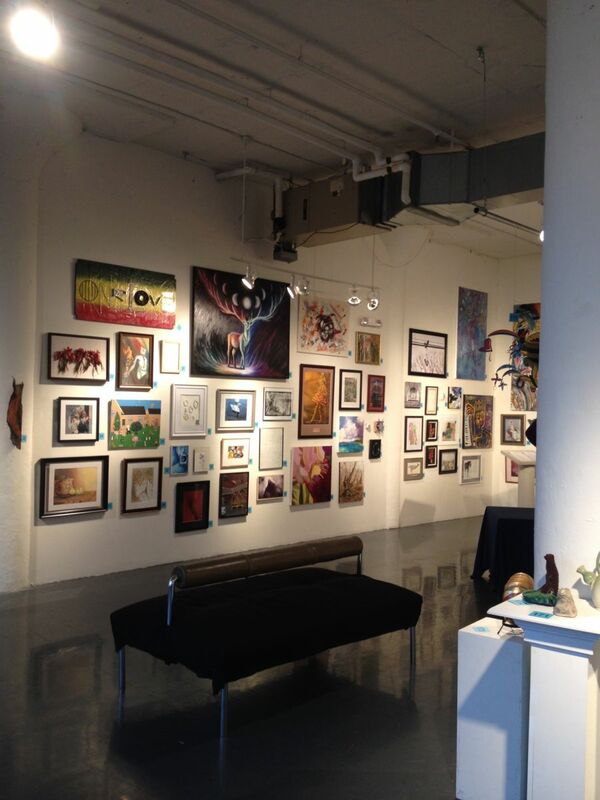 YOU CAN SEE ARTWORK BY THESE ARTISTS THAT ARE ONLY PARTICIPATING IN THE GROUP SHOW! agonist.gallery, Abstract Micrographs: abstractions from life under the microscope. Ben Parker, Hand-folded paper abstract designs. Dana Ouellette, I create abstract pieces using acrylic paints and spackle knives. DJ Stenson, Oil on canvas Inspired by nature with a touch of mystique. John Tyner, Each piece is an abstract exploration that evolves as I work with it. Lorna Morris-Cyr, "Stopping for Directions" & "Touched by an Angel." Marny Lawton, Oil and Egg Tempera Painter, Contemporary representational painting in oil and egg tempera. Prathima Bhargav, Zentangle pen and ink inspired artwork. S. Goulet PhotoArt, Specializing in Portrait and Landscape Photography, both B&W and Color. Sally Stamos Art & Accessories, Compelling canvases and colorful expressions from a vivid imagination. Yanni Sembrakis, "For Your Eyes Only" and "Armageddon."